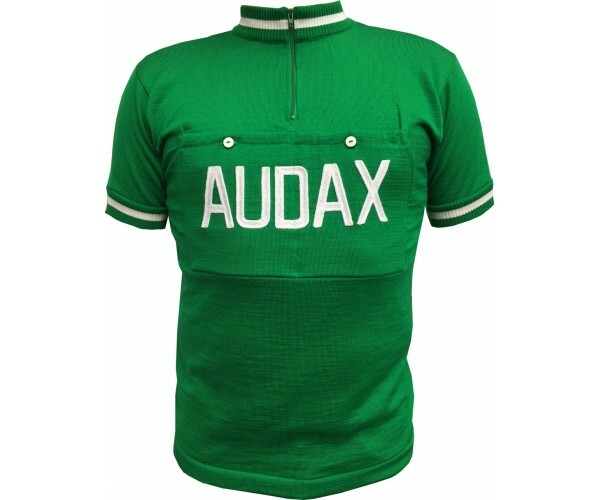 Woolistic Sportswear presents the limited edition Audax wool cycling jersey. 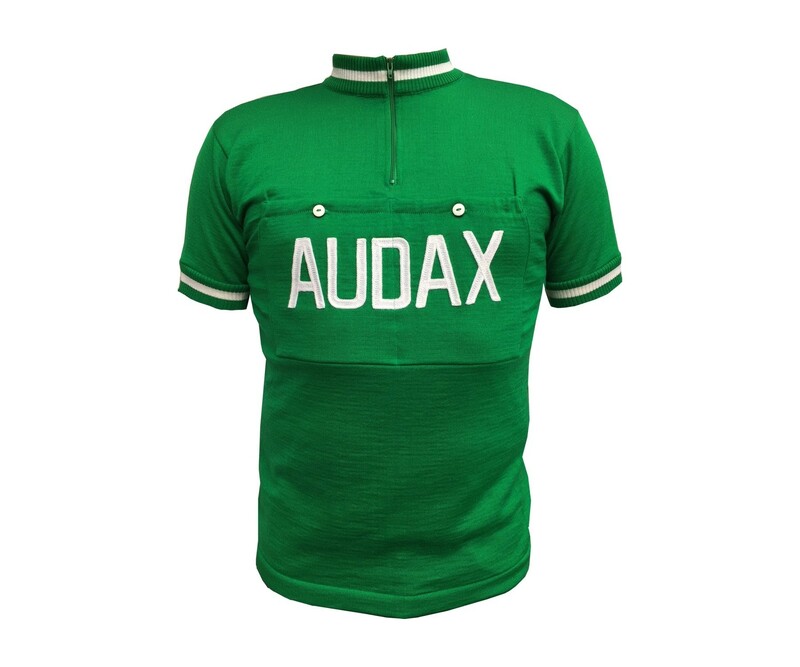 Based on a S.American racing team of the 1960s, Audax is the Latin word for 'bold, daring' and we feel it applies to this jersey. Made of 100% fine Italian spun Merino wool that is machine washable for easy care. Rare chain-stitch embroidery on front and back. Front pocket like the original had. Order yours now while they are still available. On sale now for $138, was $158!